We at Gatsby love the new track features Pharrell Williams, had the biggest streaming day for a single track in the US and UK on the day of its release. 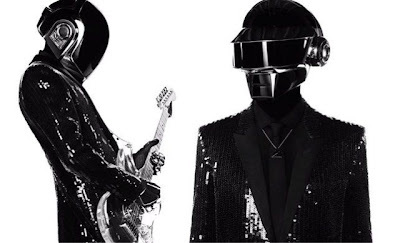 The Swedish online music site did not release the number of streams for the track which features on the DJs' new album, Random Access Memories. Spotify's Will Hope said the album would be "the biggest" this year. "There was never any doubt that the first original single from Daft Punk in years was going to be one of the biggest debut singles of 2013," the director of label relations said. "We expect the album to become one of the biggest, if not the biggest, on Spotify this year," he added. Daft Punk broke the one-day streaming record previously held by British band Bastille's single Pompeii in the UK.